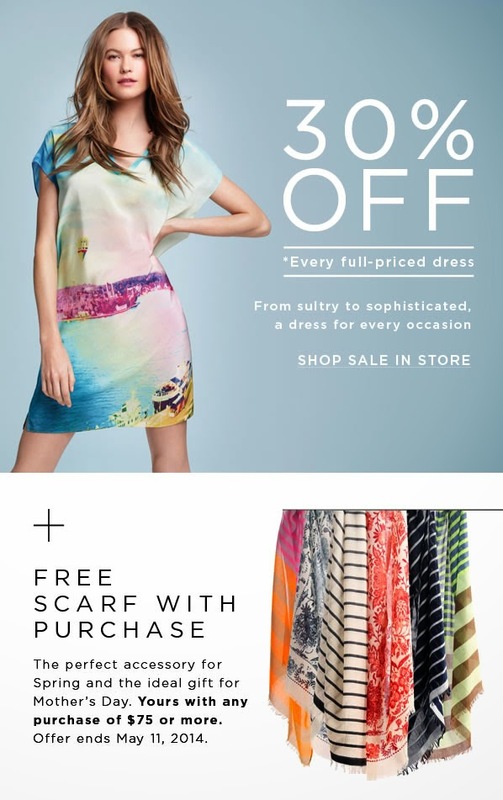 Shop Joe Fresh on 34th Street soon to stock up and save on their pretty spring/summer dresses. Best, spend $75 or more on new dresses and get a free scarf with purchase! Both offers are for in-store purchases only, so hit up the 34th Street store soon!